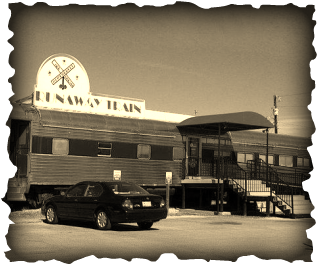 Runaway Train Café is the most popular and unique café to eat in Brownwood. As soon as you walk in, you feel what it was like to dine in an authentic dining train car with all of its originality. 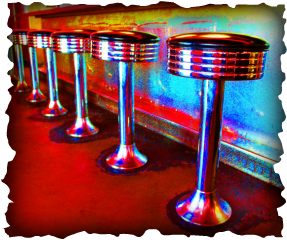 You are always greeted by our friendly staff to take a seat in one of their booths or on a stool at the old-fashioned ice cream counter. All our burgers are fresh half-pound burgers that you can order with or without cheese. Customer favorites include the bacon cheeseburger with jalapeño bacon and the mushroom & Swiss burger. All our burgers are served with either delicious French fries or tots. Also be sure to try beef hot dogs or the kraut. We have the best burgers you'll ever taste! We also serve amazing sandwiches and homemade soup. For the best of both worlds, definitely get the bowl of soup and half sandwich deal! Tasty appetizers and crisp salads are also available. After your mouth watering meal, don’t forget to try a single or double scoop of homemade Blue Bell ice cream!